K-9 Boarding - GREENVILLE ANIMAL CLINIC & HOSPITAL,LTD. 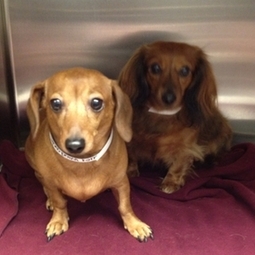 Greenville Animal Clinic offers small, mediun and large boarding. Your pet is part of your family. We know that when they can't be with you, you want the best for them. When your pets board here, they are cared for by our staff who offer them all the TLC they deserve, making them part of our family too. All our kennels are indoors and are air-conditioned and heated. Separate boarding facilities are provided for cats and dogs, to help relieve any stress. (please see our kitty condo tab for more info on feline boarding) Our staff is trained to medicate your pets if needed and adhere to any special dietary needs they may have. For the health of all of our boardings animials, all animals must be current on required vaccinations or brought up to date when dropped off.